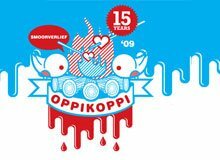 With OppiKoppi 09 Smoorverlief turning 15 and being declared a National Heritage Monument, it's time to go all out. Levi's® are proud to announce thei rvery own stage at Oppikoppi, Levi's® Bushveld Originals which allows even more diversity and outstanding South African musical talent then previous years. Oppikoppi has been listed as one of the 10 best festivals in the world and iconic jeans brand Levi's® has been part of this success for the past six years. The Levi's® Bushveld Original stage will be a collaboration of musical styles that defy definition. Expect to hear anything from Kwaito to Punk, Hip Hop to Folk, Acoustic to Rock and anything in between. Championing these styles will be some of South Africa's finest original artists. 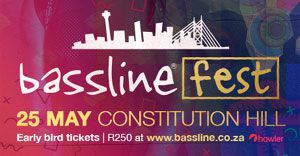 Rubbing shoulders over the weekend will be - amongst a host of other widely varied musos - big names like Farryll Purkiss, Albert Frost, Cassettte, Jack Hammer, Van Coke Kartel & Gerald Clark, Jack Parow, Pity the Fool, Luna Paige, Luke Doucet & Melissa McClelland, Riku Latti, Die Antwoord, Twee Nelle, ‘n Bottel en ‘n Barnard and Lucky Fonz III. It doesn't get more diverse than that. Truly South African. Truly world-class. Oppikoppi 09 Smoorverlief is going to be fabulous - that much we know. The line-up's looking absolutely incredible, the weather's going to be perfect and the atmosphere will be charged. And the Levi's® brand is giving you the option to hear it your way. Don't miss out. So, what more is there to say, other than get your tickets at www.tunegum.co.za. You know that when Levi's® Original Music and Oppikoppi get together it's going to be so good.